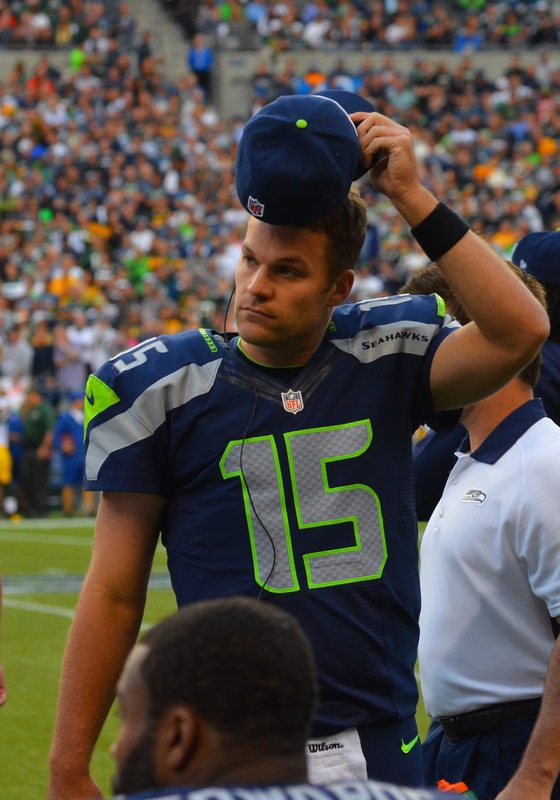 What Should the Seattle Seahawks Do with Matt Flynn? Before the NFL trade deadline passed Thursday afternoon, there was speculation the Seattle Seahawks could trade Matt Flynn in an attempt to improve their depleted receiving corps. Had the Seahawks traded Flynn, it would have left Josh Portis as the team’s only backup quarterback. Taking that into account, it’s not surprising Flynn is still with the team. For a team with postseason hopes, the Seahawks aren’t about to leave those chances to an unproven quarterback if Russell Wilson were to get injured. So, where does that leave Flynn? As it stands right now, he’ll remain the backup until he can prove in practice that he’s a better option, or if Wilson goes down. One big reason is because Wilson may not only be the best option on the team, he may also be the best quarterback in the NFC West. On Wednesday, Mike Sando of ESPN.com responded to an article on Pro Football Focus (PFF) that listed Wilson as the quarterback for the all-NFC West team at the midway point of the season. Before you go suggesting that the writer of the PFF piece, Khaled Elsayed, is just some Seattle homer, you need to take a look at some of his other selections. Not only is the entire offensive line made up of San Francisco 49ers, but he gave the top free-safety spot to Dashon Goldson over Earl Thomas. To be fair, the only highlight of Goldson that sticks in my mind is the one of him getting plowed over by Marshawn Lynch, so it’s possible he’s played better in the other seven games I haven’t seen. Getting back to Wilson, Sando provided some support for Elsayed’s selection by offering the latest QBR numbers and comparing the first and second quarters of the season. Although Wilson was the worst in the division with a 30.3 QBR through the first four games, he has improved to a 53.0 QBR. But what if you choose to ignore those first four games? In Wilson’s most recent four games, he has a 77.1 QBR, a number that puts him behind only three quarterbacks in the NFL: Peyton Manning (82.5),Tom Brady (79.2) and Matt Ryan (77.6). Despite the improvement by Wilson, there continue to be proponents for Flynn taking over the job. But Wilson is getting better, as shown in the QBR numbers, and it leaves Carroll with little choice but to stick with his rookie quarterback, especially for a coach who preaches competition. Early in the season, it was easy to point toward losses against the St. Louis Rams and Arizona Cardinals as games where Flynn could have made a difference. But if it were possible to take the same Wilson we’ve seen at midseason, and put him back in those positions, it’s more likely Seattle gets a win in those two games. It’s rare for a press conference to go by without Carroll saying that Wilson is doing everything the coaches are asking of him. Wilson is taking the most of the snaps in practice, so it leaves Flynn with very little opportunity to prove a change needs to be made. At this point, it would be extremely difficult for Carroll to justify a decision to bench Wilson. For a coach that preaches competition, Wilson hasn’t done anything lately to prove that a change needs to be made. Instead, he’s done the opposite. Fortunately, Flynn is going to be a member of the Seahawks for the rest of the season. Unfortunately, it means Seattle is set at wide receiver as well unless they decide to sign a free agent. But having Flynn on the roster definitely isn’t a bad thing. If the Seahawks happen to lose Wilson to injury, they will need a capable backup to maintain any hope of making the playoffs.